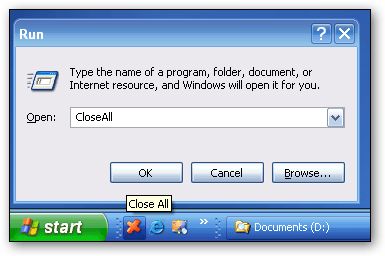 Close All Windows is a free portable tool for Windows that allows you to close all your running windows with just one click. 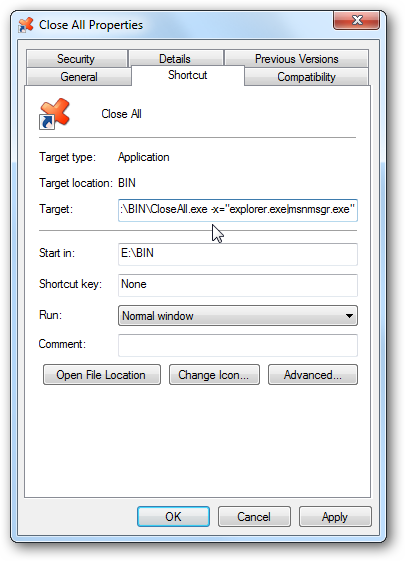 Just run the tool and all the running windows will be closed. 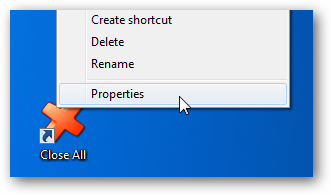 To make it handy, you can add it to the quick launch in Windows Vista/XP or pin it to the taskbar in Windows 7.